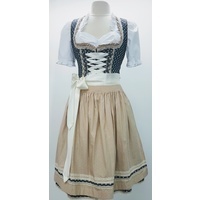 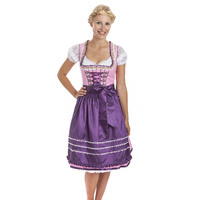 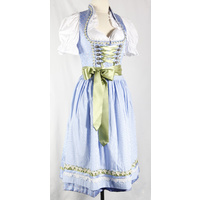 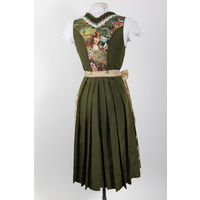 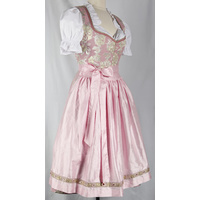 The colours of this Dirndl make it fresh but the finishing gives is this amazing elegance. 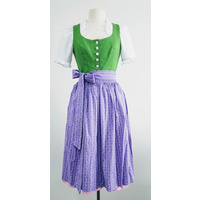 The Bodice is of this off white silk with purple light green flowers, the decolete is magestically decorated with purple flowers white flowers and pleated in delicate green white polka dots. 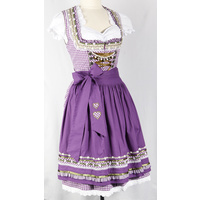 The skirt is simple purple white chequered with purple white flowers at the bottom. 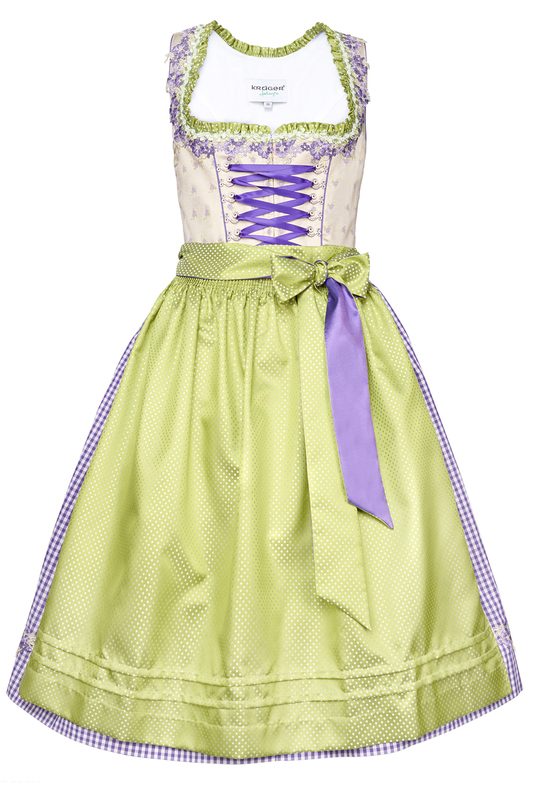 The apron is in this fresh green with delicate white polka dots and the ribbons come in dual colour leaving room to play. 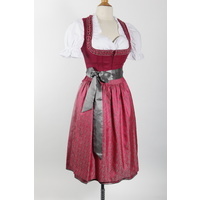 We recommend a round neck blouse with standing collar. 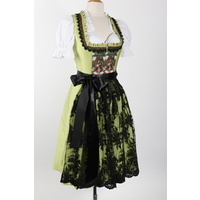 Matching dress for the little one available here.